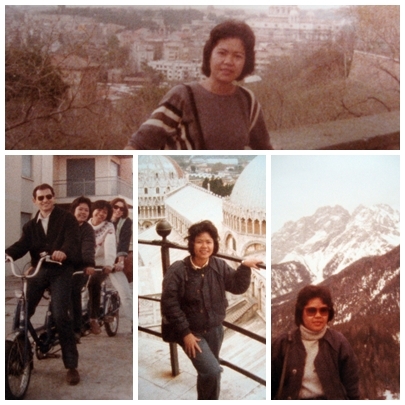 Back in 1986, I traveled to Europe for the first time. Alone. At the time, I was still smoking and it was sheer torture to be in flight or around airports and train stations all of 21 hours. Every chance I got, I filled my lungs with nicotine like it was the last stick I’d smoke. I read the instructions over and over, matching them with the signages I passed, hoping I’d find my way to Bradford, England without a hitch. The London stopover ended with my safe landing in Heathrow airport. From there, I took the train for Bradford. Not an hour or two to check out the London sights. That had to wait for much later. I was expected for dinner somewhere within the halls of Bradford University. From the tropics, I had my first taste of snow when I got out of the train station in Bradford. I wanted to run and throw my first snowball. That had to wait too. At the time, I was simply too eager to get inside Charles Morris Hall and sit by the fire to warm my fingers which were threatening to freeze. As I “thawed”, I met my new friends from Saudi Arabia, Italy, Finland, Brazil, Ethiopia, Burma, Solomon Islands, Iran, Nigeria, Sudan, Poland, India, Pakistan, Bangladesh, and Cyprus. I have lost touch with all of them. 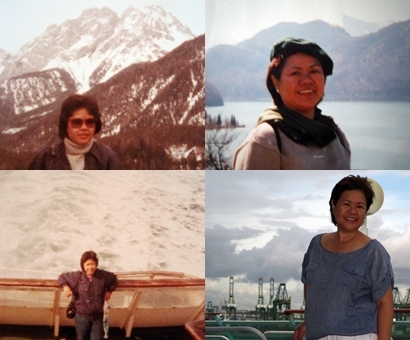 Hopefully, with this blog I can find some with greying hair but with the same smiles I still fondly remember. These friends introduced me to varied flavors of the Orient, African, Middle East and Western cuisine: from the Indian tandoori to the Italian pasta (back then, I only knew the spaghetti with meatballs), to Sudanese cabbage with rice stuffing yummy dish, to Brazilian beans and more beans! Oh my, too much beans. Where are you guys? Zeze, Raoul, Rebecca, Lita, Salik, etc. I nearly cried when I saw Buckingham Palace. I saw Big Ben at sunrise and sunset with coffee in a paper cup , seated on a bench somewhere. Always, I would be found reviewing a map. I would imagine myself taking the “Tube” as Londoners call their subway, and visiting the popular London sights. I also imagined which subways to take to go to the West End to watch Les Miserables and how to find my way back to our hotel. When I crossed the English channel to go to Paris for the first time, I was dripping with excitement. Eiffel Tower was not really much to see the first time i saw it. 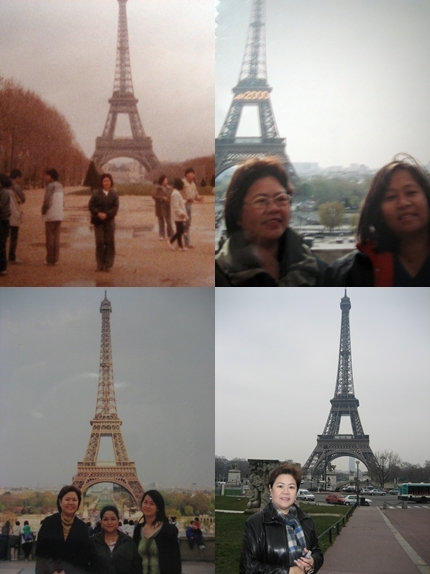 I was more awed by the Champ Elysees and the Arc de Triomphe. 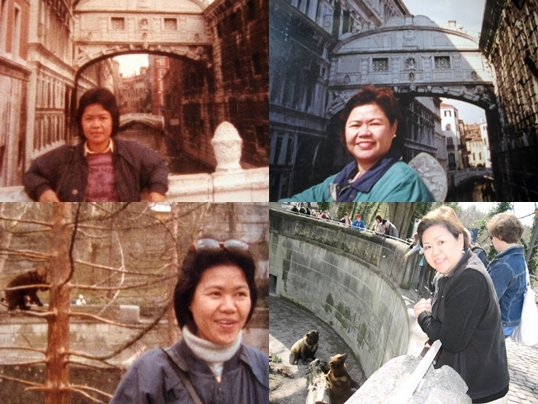 By the time I reached Italy, I could hardly sleep ……… spending my nights planning on how the next day would be spent. There was just so much to see and so much food to try. I was young then, and my taste buds were still waiting to discover new cuisine. I can relate to Peter Mayle’s first adventure with French food. Even freshly baked bread was new to me then. I discovered wine and cheese for the first time too. I even learned which wine glass is for what……..a far cry from those days when my wine glass was good for any wine, red or white , sparkling or not. More than that, I discovered what life is all about. I turned many pages since then. And my life, as a book, now counts many chapters and sequels. I visited the same sights over and over again. I worked, and worked hard. I saved, and saved good. I traveled, and savored every minute. Through the years I have taken pictures of some favorite sights and found how they now compare. I will throw in more recent pictures here from time to time , if only to lay down a better comparison between then and now. The unwanted pounds. The unwelcome lines. But who cares?